Cycling trail, accommodations, attractions, bicycle repair shops and restaurants are shown on the map. 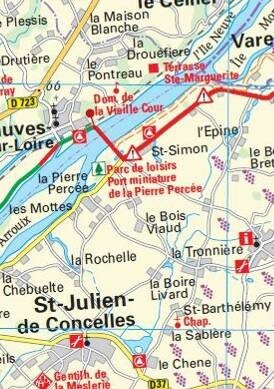 The classic cycle routes along the Loire from the Atlantic to the river Rhine. 6 individual maps in a wallet. 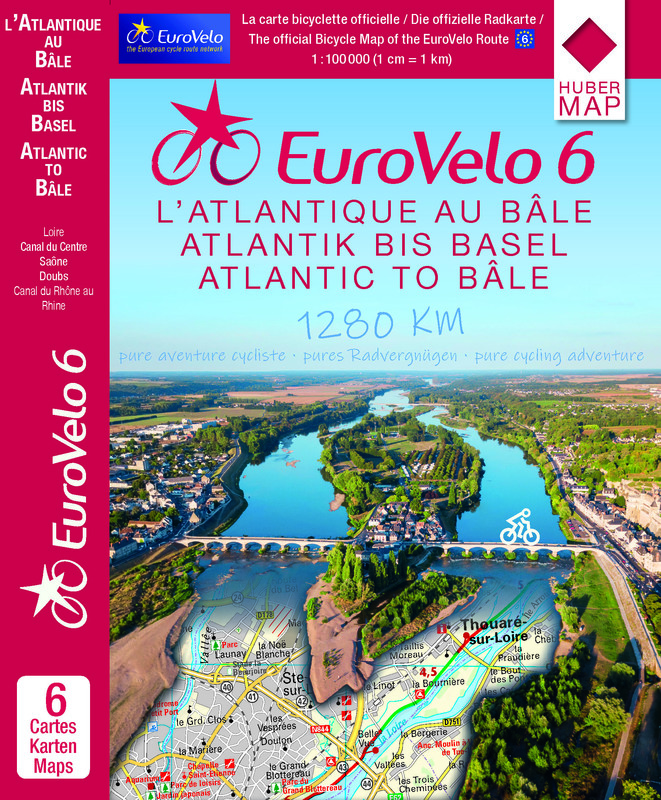 The second part of the series consists of 7 maps, starts from Basel along the Rhine to Lake Constance. Following the Upper Rhine to the Danube, where you stay until Budapest. On your way you pass the UNESCO cities of Regensburg and Vienna, as well as the historic cities such as Ulm, Passau and Bratislava. 7 individual maps in a wallet. 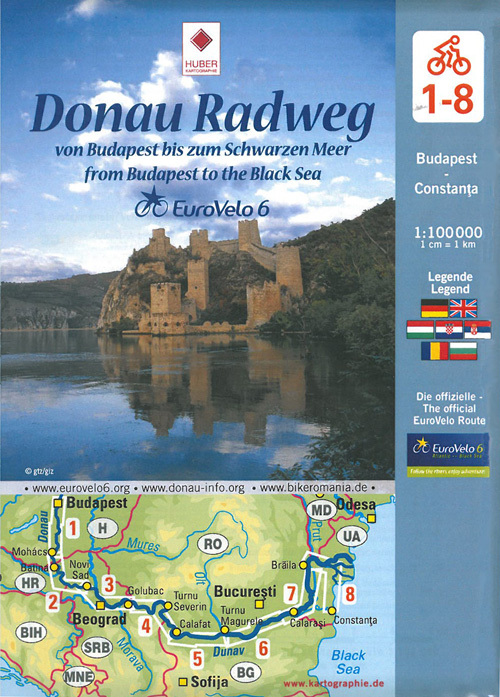 The classic cycle routes along the Danube river from Budapest to the Black Sea. 8 individual maps in a wallet. 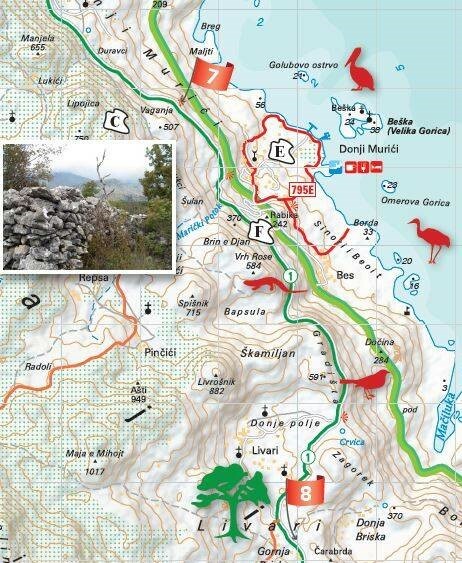 Hiking and cycling maps of Albania with tour descriptions on the reverse side - GPS exact! This 9-piece maps series shows the most attractive regions of Albania at scale 1:50.000. The map series was developed in collaboration with our partner Prof. As. Dr. Kujtim Onuzi in Tirana (Albania) and has been published and promoted by the Austrian Development Agency (ADA). In addition, the maps are completed by the local tourist associations and institutions with valuable content of tourist interest, such as accommodations, interesting caves and panoramic view points. 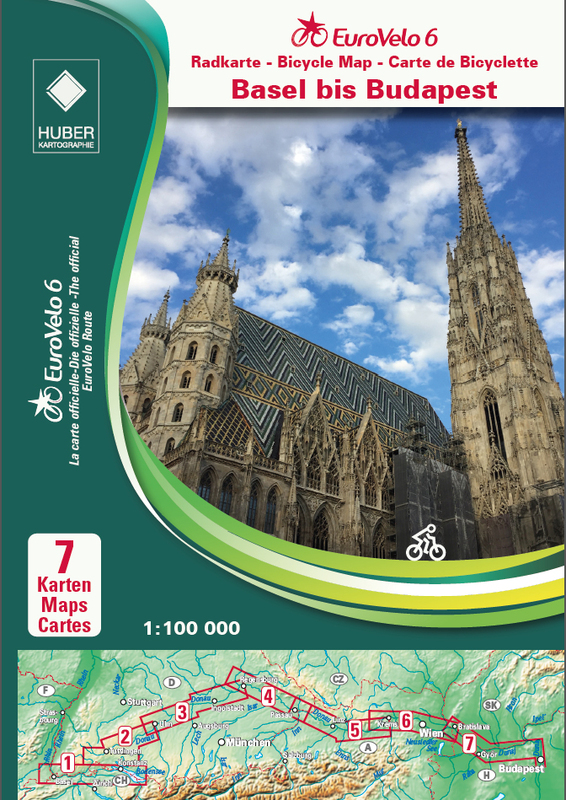 On the front of the map numbered bike and hiking tours are marked by separate colors. 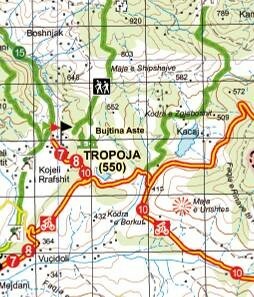 The tours are described and explained in detail in Albanian and English on the reverse of the map. Additional photos from the region give a visual impression. The marked routes offer the user the possibility to make both short and multi-day trips. 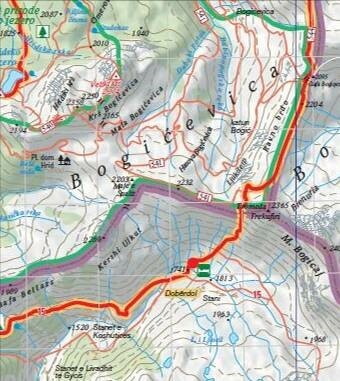 The maps are completed with useful information, such as type of the road surface and partial height profiles. All hiking and cycling trails were researched on site by local specialists, recorded via GPS and classified into levels of difficulty. The transnational "Peaks of the Balkans Trail" leads through one of the most remote and wild mountain regions of the Western Balkans. 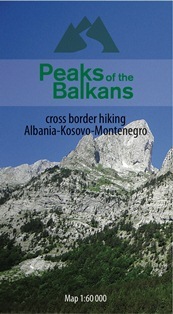 The "Peaks of the Balkans" hiking map shows the hiking route through the mountains in the border triangle of Albania, Kosovo and Montenegro, and includes a detailed description of the individual parts of the route. Including height profiles. New map series starting with the Skadar Lake in scale 1:55.000. With walking and cycling routes and valuable information about the flora, fauna and geology along the way. The welcoming new map display shows intuitively what to expect on your hike in the nature park. 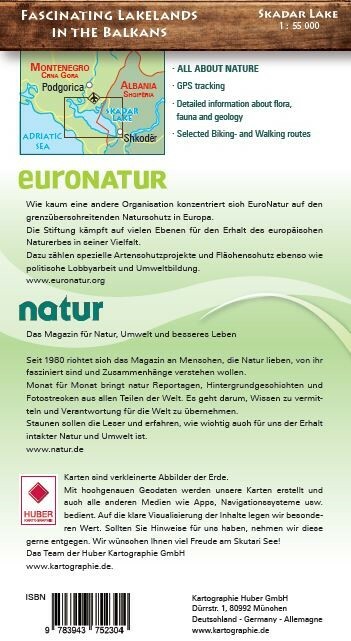 More than a bike and hiking map - the valuable editorial contributions of euroNATUR and the NATUR magazine turns the preparation already into an experience. The northern Albanian Alps are of primitive, barren beauty that attracts and fascinates every visitor immediately. As a result of decades of isolation of communist Albania this area remained a white spot on the map, until recently, even for experts of the Balkans. The hiking guide is aimed for regular walkers with cultural interests. 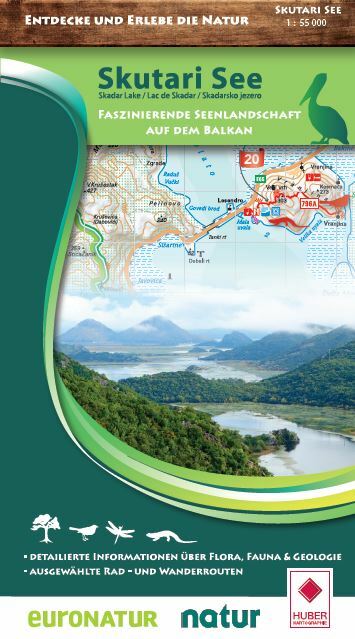 It tries to highlight and explain the special features of northern Albania. A whole new world opens up for the hikers with these 17 hiking tours of different length and difficulty, presented with detailed descriptions, GPS points and map sections. 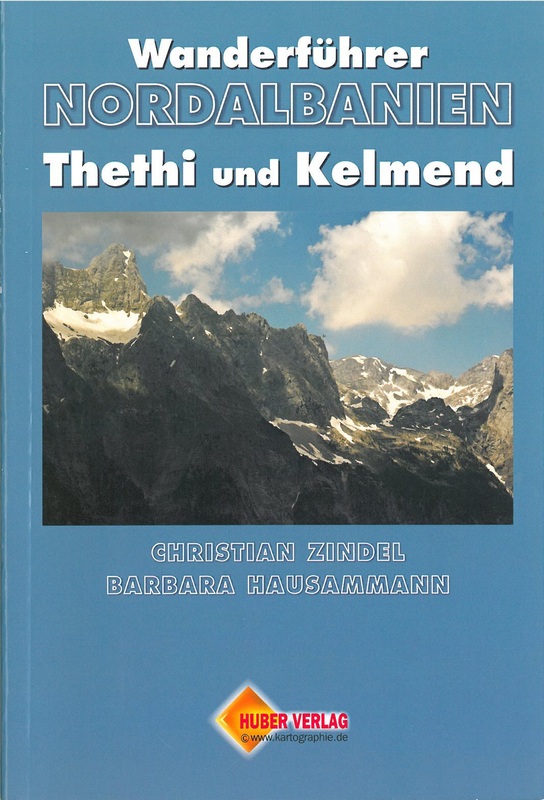 Geographical, historical and cultural introductory chapters, lists of accommodation and other useful addresses and a selection of 66 representative photos facilitate an optimal preparation of the hiking vacation. 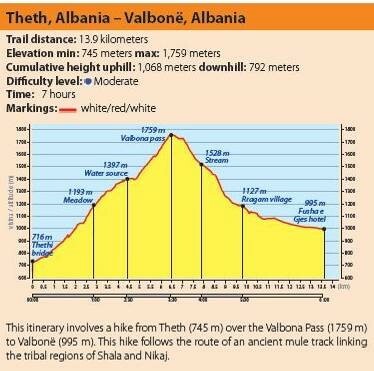 The hiking map of North Albania, published by Huber Verlag, was designed for this guide. The map at scale 1:50.000 contains all the routes of the guide.